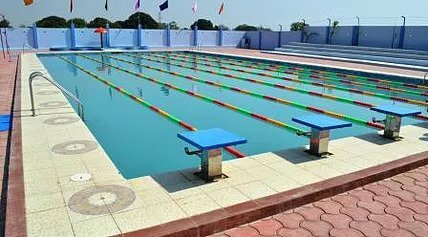 The Swimming Pool at Delhi Public School Satna is housed in a modern complex. 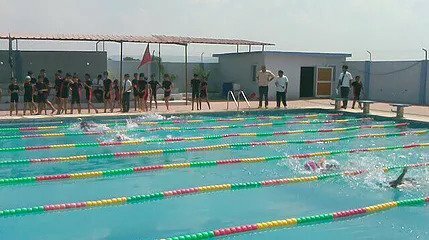 It comprises of a 25 meters, 8 lane National Level Competition Swimming Pool. A toddler pool for the kids is just besides the main pool. Complex has a large viewer grandstand and state-of-the-art filtration system. It also has separate change rooms for the boys and girls along with beautifully landscaped garden.